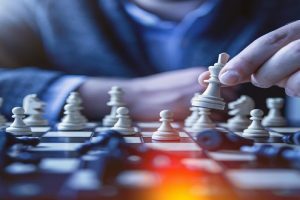 You can play chess with another person online using a computer, but then you’re not always going to be sure that you’re playing against a human at all. 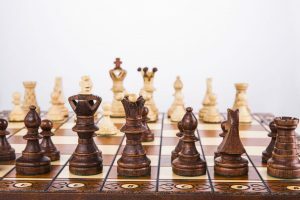 After all, your opponent can enter your moves into a powerful chess program and then put in the moves that the program suggests. If you’re going to play chess against someone, you should really do it the traditional way — with chess pieces and a chess board on a table. 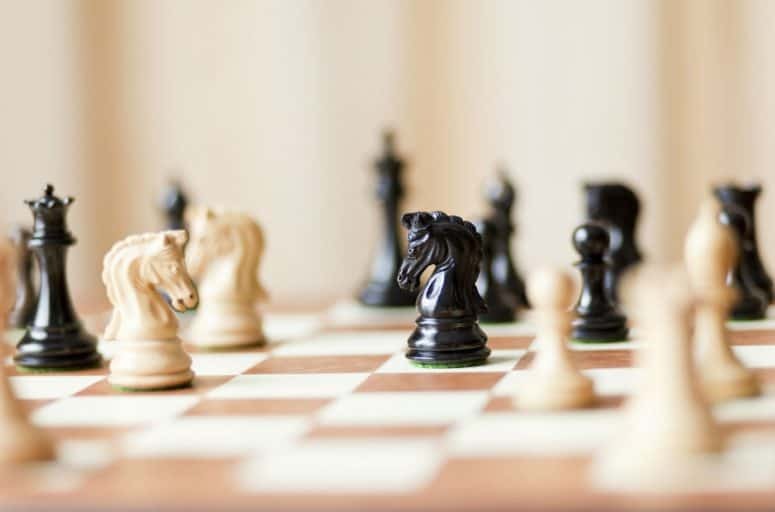 Go online, and you’ll be surprised at just how many options there are when you’re buying a chess board. They can be constructed in different configurations, such as a folding board or a roll up board. You can even buy a table with an ingrained chess board design. 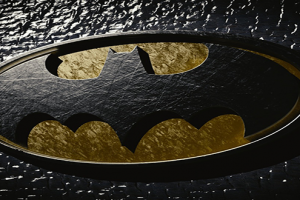 Pieces are generally made of plastic or wood, but they can even be made of ivory. They also vary in size. 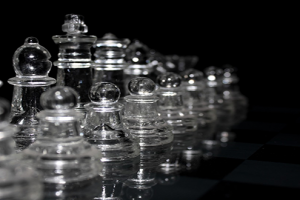 For the most part, you can categorize chess boards according to how you want to use them. Practical chess boards are often literally boards, and when folded they have a space inside to hold the pieces. This is a very common design that can be found in many homes all over the world. Look under a coffee table, and you may find a chess board there. Tournament boards adhere to a specific size for the board and the pieces. Usually they’re made of durable plastic with weights on the bottom to keep the pieces steady on the board. Travel chess sets are smaller, and often they feature magnets to keep the pieces from moving about. Some of these sets can even fit inside a pocket. Decorative boards are used as art pieces, and they’re mostly for other people to admire. Many libraries and offices feature elegant chess boards with intricate designs and gorgeous wood or ivory. For these boards, the craftsmanship and the quality of the materials are usually excellent. Theme sets are “fun” types of boards featuring a wide range of designs for players. These boards can use stylized military units for the pieces, or they can be cartoon or movie characters. Since the 1980s, there have been some chess sets with electronic features and perhaps even an onboard computer to play against. 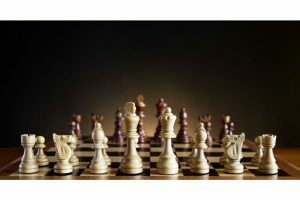 Why are Some Chess Sets So Expensive? 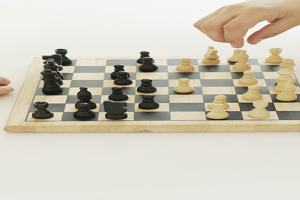 It is possible for you to buy a high-quality chess board without having to break the bank. However, some can be truly expensive. 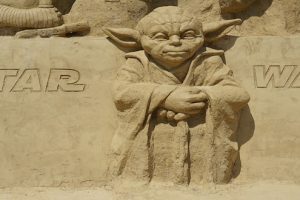 They can be considered actual works of art (think sculptures), and they can cost more than $20,000. In fact, the most expensive chess boards ever can cost more than a million dollars. Plastic can be very inexpensive, but it works great. In fact, official game sets often use plastic pieces. But then there’s wood, and some types like ebony are much more expensive than others. You may find even more exotic woods used for chess pieces, and of course ivory is a classic material for expensive boards. The quality of the carvings on the pieces can really set the tone (and therefore the price) of the chess board. A more expensive set usually features a higher quality in the knight’s carving. You should also check out the quality of the crowns on both the king and queen. Spare pieces. If you’re a player, then you may find that you may end up with two queens on your side in play. With spare pieces, you can do this without makeshift solutions (or taking a piece from another set). Bonus features. 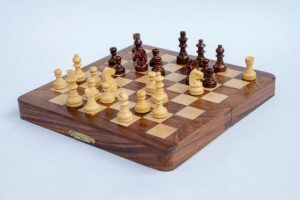 Some chess boards offer features that can improve the durability of the board or perhaps offer greater functionality. Some boards fold and may have slots for pieces so that they won’t break or bump against each other when you carry the board. Other boards have algebraic notation markers on the sides to help beginners note chess moves. Most of the time pieces are weighted down at the bottom so that they don’t easily topple if fingers brush against them when players move. Great chess boards have pieces with substantial bottom weights, but others may not offer enough weight. Some sets also feature magnets. 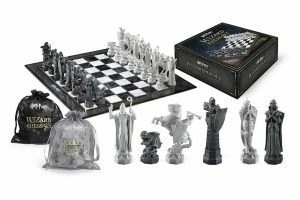 You’ll want to get a chess set that should last long enough for the next generation of your family. So it should be durable, and the pieces shouldn’t easily break. 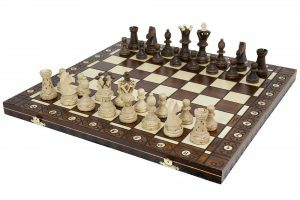 With a great chess board and properly weighted chess pieces with gorgeous designs, you can entice the next generation in your family to take up the game. Just make sure that the chess board is the right size for the players, that the pieces are durable and weighted down, and that the board and pieces look great. With a great chess board, games are more enjoyable, and your children will appreciate them when the time comes.